With the 2017 Roland Garros right around the corner and the draws now out, experts and amateurs will debate on favorites to claim the title. In this article, I will break down each section of the Men’s singles main draw, come up with my predictions and talk about first round matches that should be the most thrilling. Section 1 will most likely be the least challenging section of the draw, with Murray being the large favorite to come out of it. However, Murray just reached age 30 and has not been playing his best tennis yet in 2017. He could potentially have issues if he meets with Del Potro in the 3rd round, but the Tower of Tandil did not participate in many clay tournaments and his latest run in Lyon (ATP 250) ended quickly after a deceiving match against Gastao Elias (7-6 (0), 6-4). In the other half of the section, the biggest names are Isner and Berdych, who are both heavy hitters with movement issues. John Isner is in great form with his recent semi-final in Roma, but his inability to shorten matches often takes a toll on his body in slams. Berdych also just had a strong showing at Lyon and has always been a consistent slam player over the course of his career. 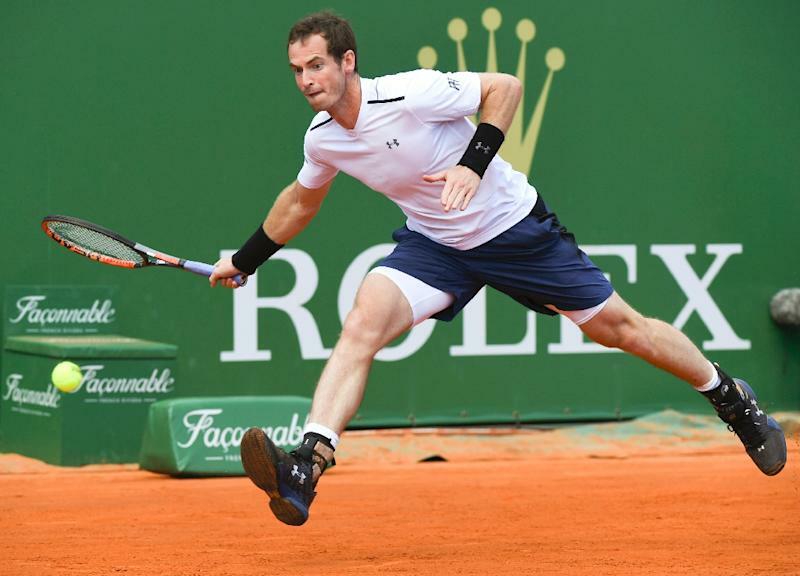 Murray vs Berdych in the RO16, Murray coming out of it in 3 sets. Baghdatis v. Almagro: Both players have been top-10 players in their respective careers and are now ranked 62 and 69. Almagro holds an impressive 66% career win rate in clay, but he is also well known to have issues finishing his opponents. My prediction: Almagro in 5. While Murray may not be having the greatest season so far, he can always be deadly, especially if he can rediscover his previous form. Section 2 features young and rising star Alexander Zverev, who just won his first Masters title in Roma. His game seems on point at the moment and he could break through his section of the draw, even though he never reached the 2nd week in a slam. Even if he won their last encounter in Madrid earlier in the clay season (7-5, 6-3), he has a tough 1st round opponent in Fernando Verdasco, who is at his best on the surface (62% career win rate). Zverev could also potentially meet Pablo Cuevas in the 3rd round, who beat him (3-6, 6-0, 6-4) in Madrid with a bagel in the 2nd set. In the second half of this section, there is not much to be excited about. Kei Nishikori has struggled up to this point of the clay season, but should not be excessively challenged before the potential encounter with Zverev or Cuevas in the RO16. Zverev vs Nishikori in the RO16. Zverev’s brother, Mischa, just played Nishikori in Geneva, and it’ll be interesting to see if the other brother can do it as well. Zverev in 4. Zverev v. Verdasco: Even if he won their match earlier this season, this is going to be a tough one for Zverev. He did not prove anything yet at slams, and Verdasco will not go down easily. He could be in trouble if he gets down on himself during the key moments of the match. Zverev in 4. 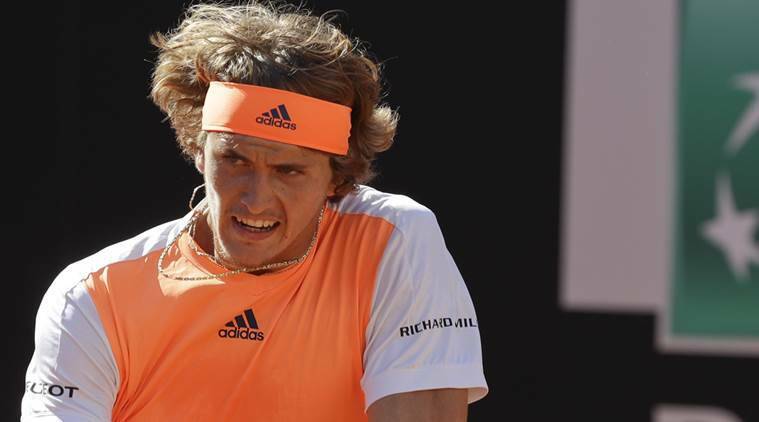 Alexander Zverev, who recently won his first Masters Title in Rome, is one of the bigger contenders for a Roland Garros Championship. Wawrinka will most likely not face tough opposition in this section of the draw. Notable players in this section include Monfils, Gasquet, and Fognini, but the two Frenchmen have not won that many matches as of late. The only man who could trouble Wawrinka would be Fognini, who took down Murray at Roma in his country in straight sets (6-2, 6-4). Monfils v. Brown: Two amazing shotmaking showmen will square off in this match. They are athletic and never hesitate to go for improbable shots. Definitely one of the matches not to miss in the first round! Monfils in 4. In this section of the draw, all of the top seeds are tall, athletic and strong, meaning we should expect powerful tennis. They namely include Cilic, Tsonga, Kyrgios and unseeded players Anderson and Feliciano Lopez. Tsonga and Kyrgios could meet in one of the best 3rd round matches of the tournament, featuring the local hero and the talented and provocative Kyrgios. At the bottom of this section, a potential second-round clash between Ferrer and Lopez could be really exciting. The two Spaniards have very different playstyles, in what could be the last slam match in which Ferrer is seeded. Nonetheless, Cilic should reach the RO16 without much difficulty. Tsonga v. Cilic: Tsonga coming out in 5 sets, making him the last local hope for the French. Kohlschreiber v. Kyrgios: It seems like over the last few years Kohlschreiber has been unlucky with draws in slams. He often entered slams ranked between 33th and 40th, making him unseeded, and then proceeded to play against top players in the first round. He is still a solid player who can hold his own against top-20 players. On the other side, Kyrgios has been fire on hard courts before the clay court swing, but he has not been as sharp as of yet. This could be a hard opening match for Kyrgios, who will have to work hard to get his pass into the 2nd round. Kyrgios in 4. 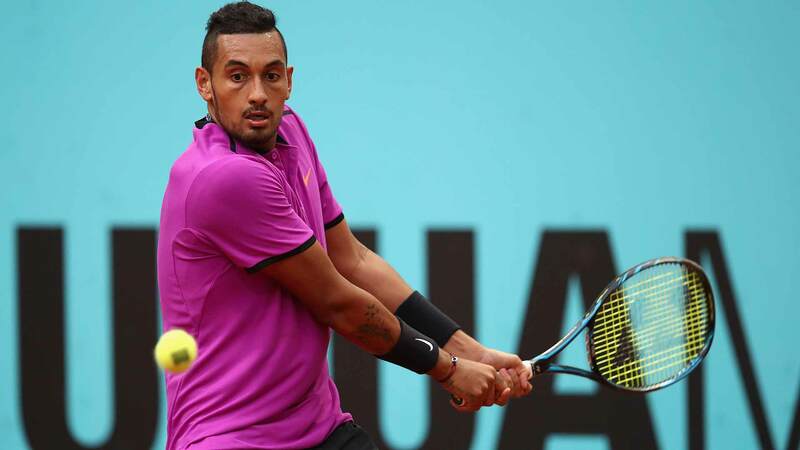 When he is focused on the game and wants to win, Kyrgios is an unstoppable force, even on clay. He has proven that he can consistently beat the best players on the tour. That being said, many fans have high hopes that he’ll perform well this year. I named this section the Open Section because, to me, there is no clear indication that a particular player will come out of this group. Milos Raonic, who started the year at No. 3 in the world, is now at No. 6 and lost to players ranked lower than him at every tournament he played in 2017. Even if he does not play a really tough opponent in the first few rounds, his health is concerning and could even be upset by Steve Darcis in the first round. In the bottom half of this section, the two seeded players, Carreno Busta and Dimitrov, should easily meet in the RO32. As of late, Carreno Busta has routinely beaten players ranked lower than him. He was ranked No. 56 in August 2016 and steadily climbed up to No. 21, making him the 20th seed at the French Open. On the other hand, Dimitrov did not meet his expectations during the clay season, losing to Robredo in Marrakech (6-4, 1-6, 6-1) and Jan-Lennard Struff (4-6, 6-3, 6-2) both in the first round. Additionally, Carreno Busta won their last meeting in Madrid 2016 (7-6 (3), 6-3), which was also held on clay. Many still put big expectations on him (including myself!) and he remains the favorite to reach the RO16. Raonic v. Darcis: In 2017, Darcis climbed 48 positions to a career high No. 38 and had a 13-7 record this year. Raonic is 17-5 in a season filled with interrogations. It could be an interesting matchup, but could also be a statement match for Raonic. Raonic in 4. Robredo v. Evans: At 35, Robredo is still coming back from an injury that made him miss most of 2016. He is currently ranked 274, but is still a tough opponent, especially on clay (67% win rate on clay vs 60% overall on tour). Daniel Evans, on the other side, is not at his best on clay. While he has an overall 42% win rate on the tour, he only won 33% of his matches on clay, making him more likely to be upset on this surface. Robredo in 5. Without any surprise, I totally expect Rafa to come out of this section. He has been stellar on clay this year, losing only one match with a 17-1 record. However, his road to the second week is not a free ticket to the quarterfinals. He will potentially have to go through Paire, who recently beat Carreno Busta and Wawrinka in Madrid, Haase and Simon, two steady journeymen (although Simon is a better player), and then Bautista Agut or Sock. As I just said, in the other half of this section, Sock and “RBA” will most likely face off in the 3rd round, facing weaker opponents in the first two rounds. This 3rd round match could be very exciting, featuring an exciting shotmaking player in Sock and a steady grinder in RBA. Bedene v. Harrison: Maybe not the most exciting match of the first round, but everything indicates it will be a close one. These two players are not clay court specialists, have similar rankings and will want to go through an accessible match. Very hard to guess the winner. Bedene in 5. Simon v. Basilashvili: Basilashvili climbed from No. 94 to No. 63 up to this point in 2017 and just reached the semifinals in Lyon, even taking a set from Tsonga. On the other hand, Simon’s clay season has not been stellar: he had a beatdown against young American Bjorn Fratangelo (6-4, 6-1) in Budapest, then lost to respectable players in Lopez in Madrid and Carreno Busta in Roma. I think he could be upset in this match unless the local crowd bothers the Georgian! Basilashvili in 5. Nadal v. Paire: I do not really doubt the outcome of this match, but it is probably going to showcase the highest level of tennis of the first round. Nadal in 3. After being upset by Dominic Thiem in Rome, Rafael Nadal needs to approach Roland Garros differently this year if he intends to win. He may not be the same player, but Nadal is still this year’s top pick for a Roland Garros winner. Section 7’s biggest names include Austria’s Dominic Thiem and Belgium’s David Goffin. They have faced off four times since the beginning of 2016 and three of those clashes occurred in slams. Even if Goffin won three of their last four meetings, Thiem is the one who won their encounter in last year’s quarterfinals at Roland Garros. Their rivalry is definitely interesting, as they both climbed the ATP rankings quite rapidly, have really opposite backhands and play styles while being good guys and good friends. Every tennis fan wants to see them face-off in the RO16, and good news, they should face each other, because this section is otherwise somewhat open. The only player that could prevent the Thiem/Goffin clash to me is Borna Coric, who could meet with Thiem in the third round. Nothing particularly stands out here; local hope Nicolas Mahut has a unique serve and volley style that is always a pleasure to watch! Dominic Thiem is the only player so far this year to beat Nadal, and he could be a dark horse for this year’s French Open. The biggest story in this section is how Djokovic will do at the French. He just fired his whole team and started working with Andre Agassi, plus he recently chose to become Lacoste’s newest crocodile. He wanted a new start, and he got it. Now is the time for him to step up and show that this change is what he needed! Otherwise, I do not really see any major inconvenience for Djokovic in this section. Lucas Pouille, seeded at No. 16, did not have a great clay season so far and could very much be upset before reaching the third round. I expect a tough opening match for him against fellow Frenchman Benneteau. If he goes through, he will have his hands full against Spaniard Albert Ramos Vinolas in the 3rd round. Pouille v. Benneteau: In this all-french contest, I expect a lot of emotion, with a crowd that will cheer for both players evenly. Pouille had the best of the two players in their last two encounters, including one at Roland Garros in 2016. Pouille in 5. Then, I think that Murray will reach the finals, but will not win the title. For the title, my money is on Djokovic. He will beat Nadal in the best match of the tournament, en route to his 13th Slam Title! That being said, La Coupe des Mousquetaires is pretty much up for grabs this year, as the veterans will have to show that they are still at the top of the game. They all have a lot to prove and Roland Garros 2017 could definitely be a turning point in many players’ seasons and careers.